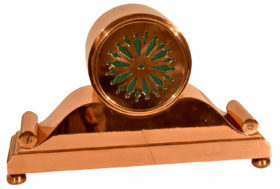 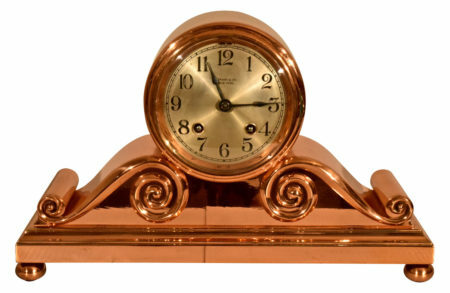 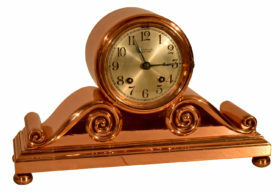 Chelsea Clock Company Tambour #2 in copper and bronze case. 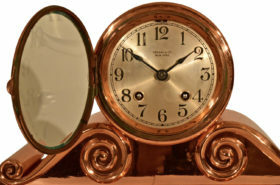 This clock features a 4″ engraved silver dial and is signed Tiffany & Co. NY. It houses an 8 day time and strike movement with lever escapement.